The A-Mirror table mirror from Zone Denmark lives up to its name and is characterised by its steel frame in a striking A-shape. 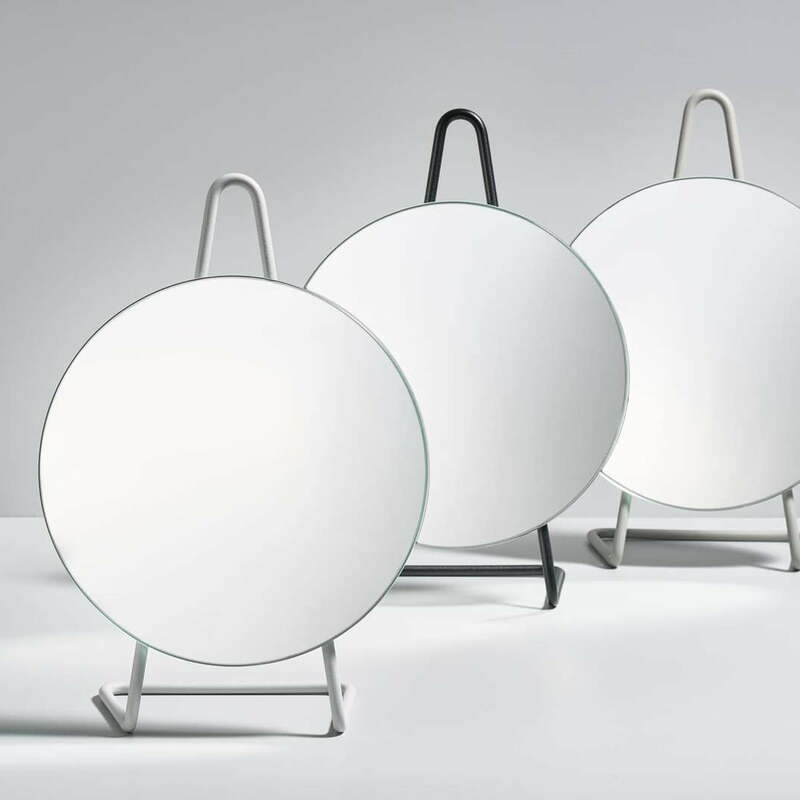 As a contrast to the angular frame, the mirror glass is round in shape so that a harmonious overall appearance is created in combination. 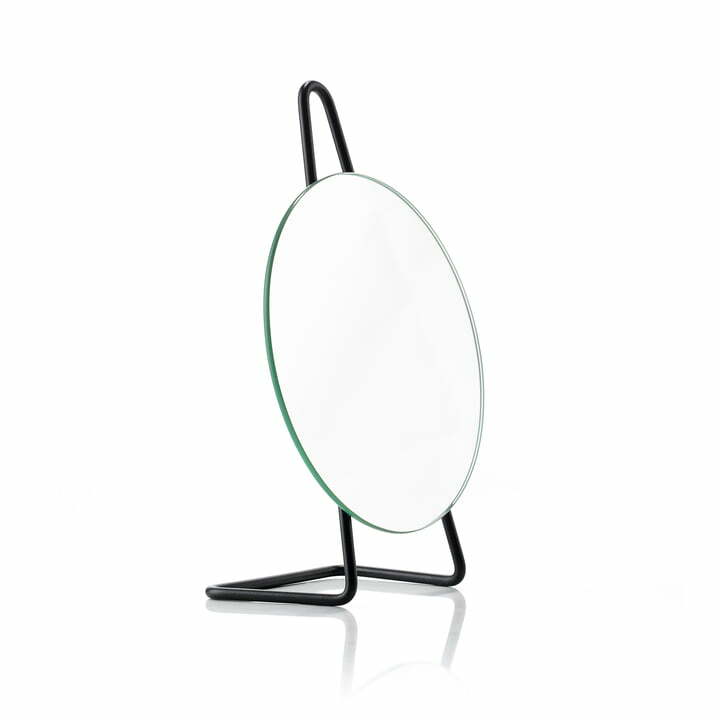 A-Mirror table mirror in black from Zone Denmark in single view. 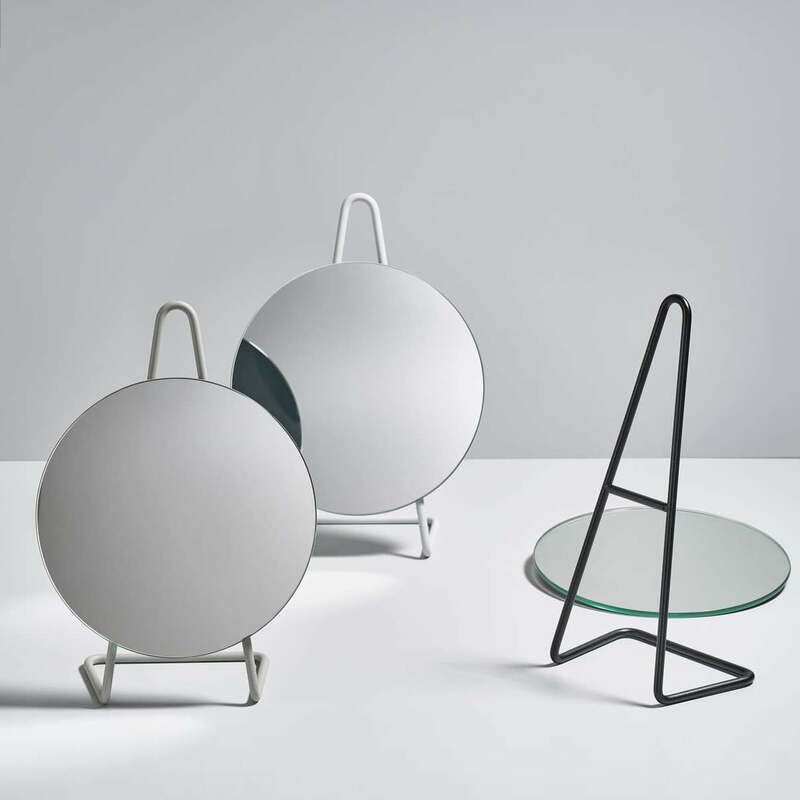 The A-Mirror table mirror from Zone Denmark lives up to its name and is characterised by its steel frame in a striking A-shape. A-Mirror table mirror of Zone Denmark in the ambience view. 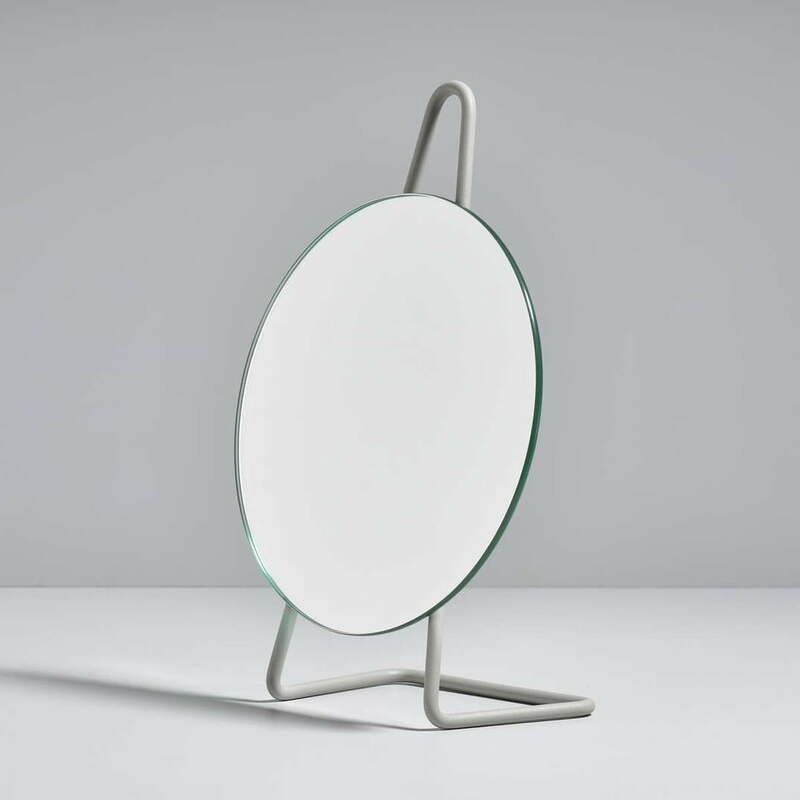 The frame of the mirror is available in different colours and has the characteristic A-shape of the series. A-Mirror table mirror of Zone Denmark in single view. As a decorative element on the chest of drawers in the bedroom, the mirror cuts an excellent figure and can be wonderfully combined with other products from Zone Denmark's A series.